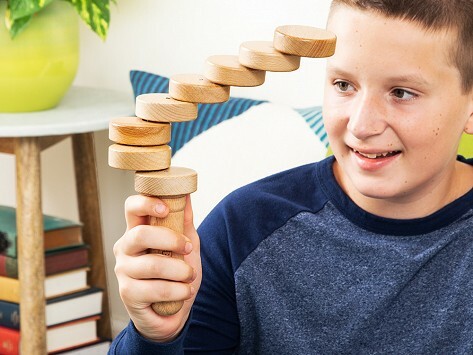 This balance toy was created as a rehabilitative tool to help hone fine motor skills—and it does it in the most fun and challenging way. The objective? Neatly stack the disks. That might sound simple, but it takes concentration and coordination to get the unpredictable, rotating magnetic beech wood discs to line up just right. This was interesting. We found it is doable but really requires concentration! Patients & concentration! Concentration required ! Not as hard as U think !